March is a month of awareness about problem gambling. At the start of the month a conference was held in Springfield, Massachusetts to discuss this problem and ways to tackle it. Members of the Massachusetts Council on Compulsive Gambling had all the good things to say about the event. The conference was about ways to help people with gambling problems. The main points discussed were that gambling addiction is not restricted to one place or country, but is a problem across the world and that those struggling with the problem must not shy from seeking help. The discussions at the conferences were about the resources, which are available for people going through this problem. 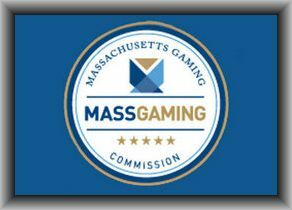 The participants at the conference were members of the Massachusetts Gaming Commission, health professionals and the general public. This conference had representatives from the whole of New England. It was held in Massachusetts as new casinos are coming up in the state. The concern of the organisation is that places for gambling are opening up at a fast rate but there is little done to tackle the problem of gambling addiction. The members hope that talking about the problem could be first significant step towards handling the issue of problem gambling and making the required help available to those who need it. The theme of the 2015 Problem Gambling Awareness Month was ‘Have the Conversation’. Experts believe that many people have family members with gambling addiction, but they never talk about it. And those who know that they have a problem shy away from seeking help from family, friends or experts. The aim of the organisations involved in this is to highlight the importance of talking to someone about the problem, which is the first step towards recovery of problem gamblers.